READ RUTH 4 Make notes, if you’d like, of what stands out for you. Feel free to use the “Leave a Comment” box below to also write some of your thoughts. I hate “the small print”. Every time I’m updating something on my computer they get me to agree to something that I don’t want to waste time reading! Then there’s the things you agreed to and signed for, but are later hit with extra costs hidden in the “small print”! I wish I could get from “A” to “B” in everything, without the need for reading. So it’s with interest that I notice in today’s chapter the words acquire, inheritance, redeem and redemption. [v5-6] Like everything of great value in this life, it’s already owned. So if you want it, you need to acquire it or inherit it. If you’re lucky enough, you can redeem it freely using a voucher, or lottery ticket. Either way there’s a document to read and the greater the price for redemption, the more you’ll have to read. 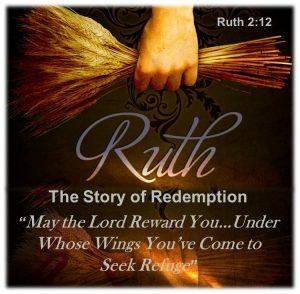 I’m sure that Ruth’s story has been preserved for us to read to today, to show how someone can go from being a poverty stricken alien on foreign land to instant co-owner, when their life’s been redeemed. Once foreigners and alienated from the Creator God – hostile in mind, engaged in evil deeds[a] – we can be redeemed. Bought at a high price, we can now inherit with all God’s children, everything that our Father’s Kingdom holds. [b] It’s all there in writing in His Word.